SW-MOTECH develops luggage systems for motorcycle enthusiasts around the world that fit. Every single product is proudly designed in Germany with real-life heavy duty usage in mind and built with high quality materials and superior craftsmanship. Our engineers and designers are passionate about motorcycles. Every luggage concept is perfection in detail and made for individual adventures on busy urban streets, winding country roads, stony mountain passes or sandy beaches. 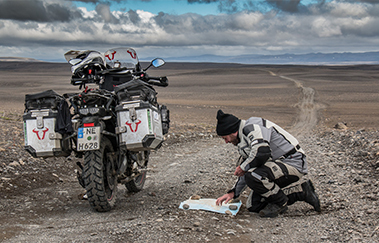 Our tank bags, TRAX ADV premium aluminium touring cases, saddle bags, tail bags or waterproof Drybags are outstanding in usability, flexibility and price performance ratio. Legend Gear vintage-inspired luggage follows recent customizing trends and is made for true legends and various classic look motorcycles. 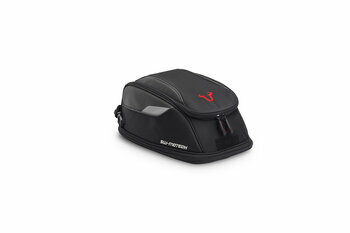 Motorcycle luggage that best suits your personal needs and riding style can boost your riding enjoyment from good to pure pleasure while increasing riding comfort and safety. Choose your model and we recommend the perfect accessories that always fit. Tested in real-life conditions. 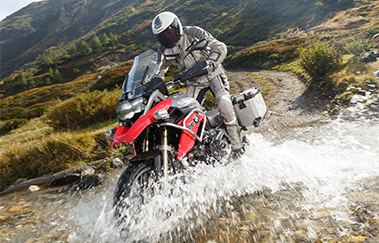 Adventure sets: the bike-specific adventure set is everything required to bring your belongings safely on your motorcycle; TRAX ADV side cases, EVO carrier, top case and ALU-RACK, crash bar and engine guard. 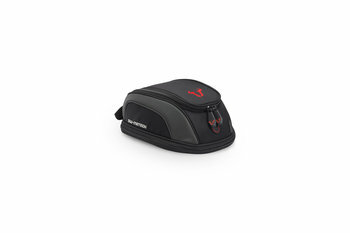 Tank bags: EVO and ION tank bags fit almost all motorcycles due to bike-specific QUICK-LOCK tank ring or classic strap mounting. Waterproof tank bags are also available. 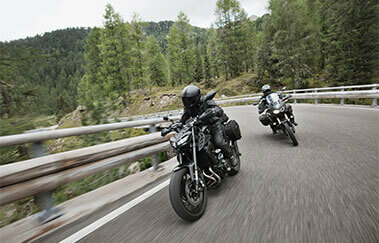 Saddlebags: soft touring luggage line BLAZE, DAKAR and Legend Gear are extremely robust, light-weight and extraordinary. Side cases: TRAX aluminium cases are available in different sizes, colours and price ranges. AERO ABS side cases combine low weight plastic material with the robust construction of true touring luggage. Side carrier: the versatile and removable EVO carrier with QUICK-LOCK function combines convenient handling, perfect fit and high flexibility. Legend Gear side carrier guarantees safe fit of all Legend panniers. Tail bags: our rear bags, like the sleek Slipstream, the spacious Speedpack or the waterproof Drybag line provide secure and efficient storage for almost all rears and come in different sizes and features. Top cases: TRAX aluminium top case is the ideal addition to TRAX side cases while plastic top case T-RaY offers an attractive price. Rear luggage racks: bike-specific design and state-of-the-art production processes guarantee best fit of all our ALU-RACK, STEEL-RACK and SEAT-RACK luggage racks. 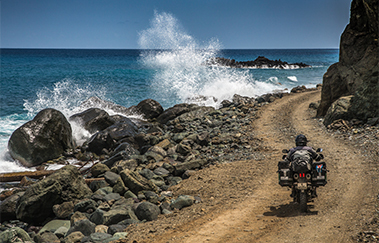 Backpacks: our motorcycle backpacks offer high wearing comfort and a variety of features. Legend Gear: state-of-the-art materials with a classic style: soft luggage Legend Gear combines ageless retro design with a versatile fastening system. Available for selected classic style motorcycles.